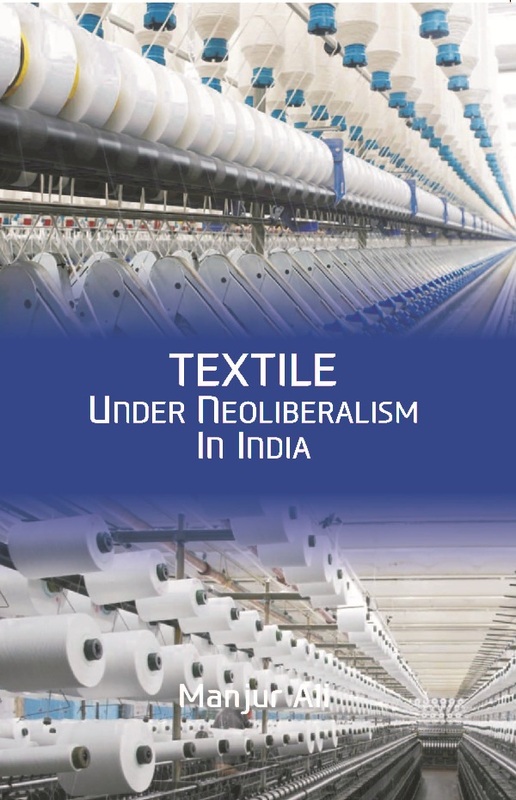 The Title 'Textile under Neoliberalism in India written/authored/edited by Manjur Ali', published in the year 2018. The ISBN 9789386397577 is assigned to the Hardcover version of this title. This book has total of pp. 302 (Pages). The publisher of this title is Kalpaz Publications. This Book is in English. The subject of this book is Political Science. This book reflects upon the impact of international agencies and their policies on textile in the developing countries like India. India has variety of production technique under textile. It contains Handloom, Hosiery, Power looms, Computer Embroidery Machine etc. Each of these got influenced by the change in policy since 1990s. Book focuses on the impact on Handloom industry in the state of Uttar Pradesh. While doing that, a comparative analysis has been done with power loom production, cotton and silk yarn based handloom. This research, first of its kind, delves upon the cottage industry in which Muslims are employed in large number. It looks at the theoretical issues like de-skilling, re-skilling, displacement, production and communal relation between the owner and workers within the timeframe of 20 years of liberalization. Dr. Manjur Ali is Assistant Professor in Giri Institute of Development Studies (GIDS), Lucknow. He has done his Ph. D and M. Phil from Centre for Political Studies, Jawaharlal Nehru University, New Delhi. Before joining GIDS, he was posted as Research Officer in Centre for Budget and Governance Accountability (CBGA), New Delhi, since August, 2011. He has brief stint as Guest Faculty in Nelson Mandela Centre for Peace and Conflict Resolution (NMCPCR) in Jamia Millia Islamia, New Delhi. He had work for Indian Statistical Institute (Delhi) as a Research Assistant. He has number of publication which includes chapters in books, commentary and reviews, under his credit. He has participated and presented research papers in national and international seminars in India. His research interest areas are: Political Theory, Indian Politics, Social Justice, Water and Sanitation and Budget and Governance Study in India. • Theory of Liberalization • Liberalization in India • Liberalization in Uttar Pradesh • Situating Banaras in the Debate • Conclusion • References. • Effect of Liberalization on the Banaras Weavers • Conclusion • References. • Government Policies for Handloom • Government’s Policy intervention in Banaras • Government’s Policy intervention in Banaras • Critical Review of the Government Policies for the Weavers • Why Government Policy has failed in Banaras • Weavers’ Response to the Crisis • Conclusion • References. • History of Weaver Politics in Uttar Pradesh • Types of Organisations Working for Weavers • Political Mobilisation of Weavers • Critical Analysis of Political Mobilisation • Conclusion • Reference.